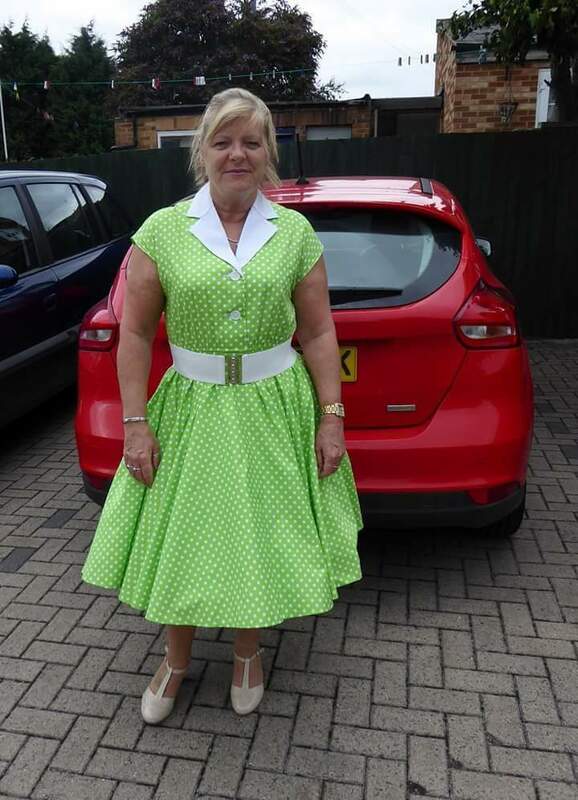 You are viewing one of our new ladies rocknroll dresses, lime green spot with a white collar, false buttons to the front. , lengths also can be made to order. We also have red with white spot, Navy with white spot,Turquoise with white spot.